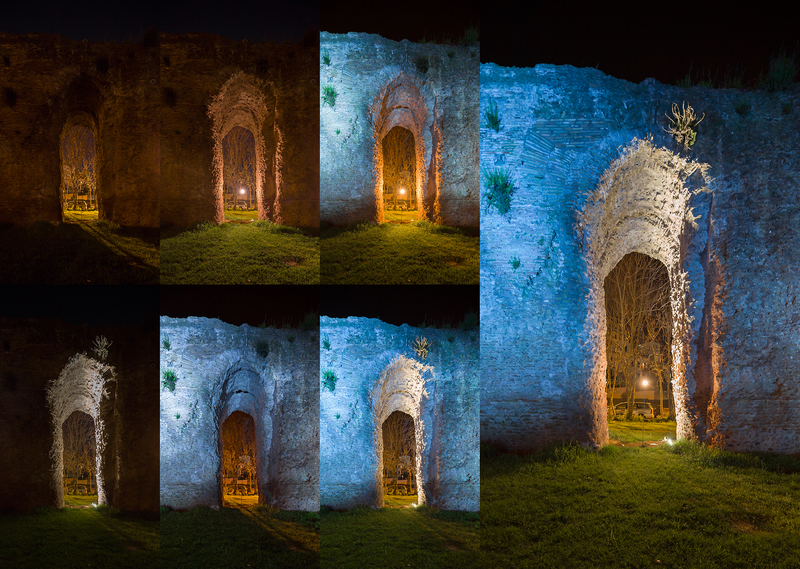 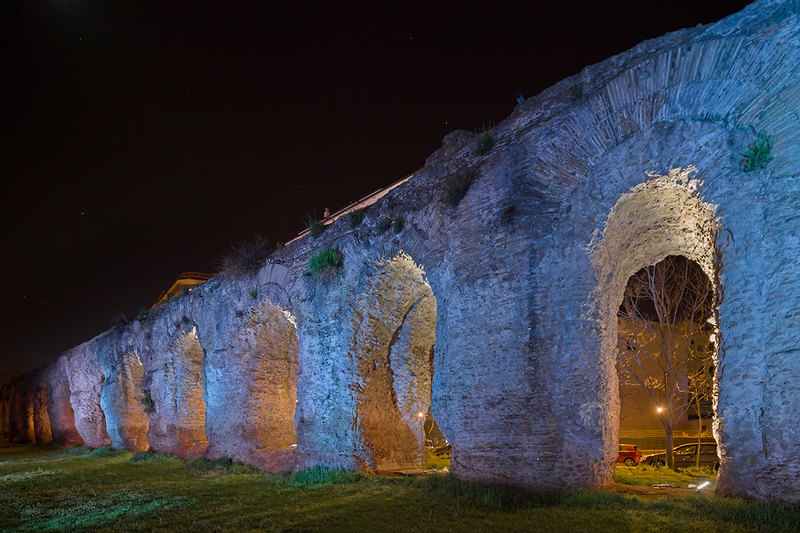 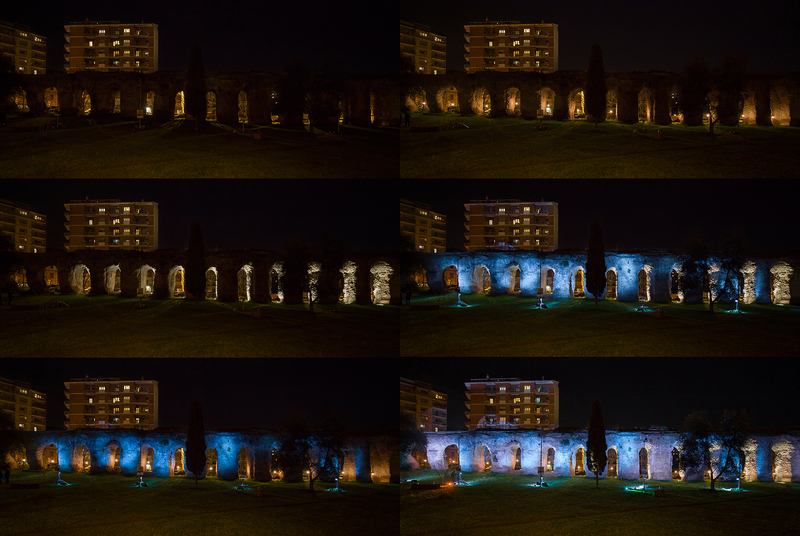 A project by Lupercales for RGB Outdoor Light Festival. 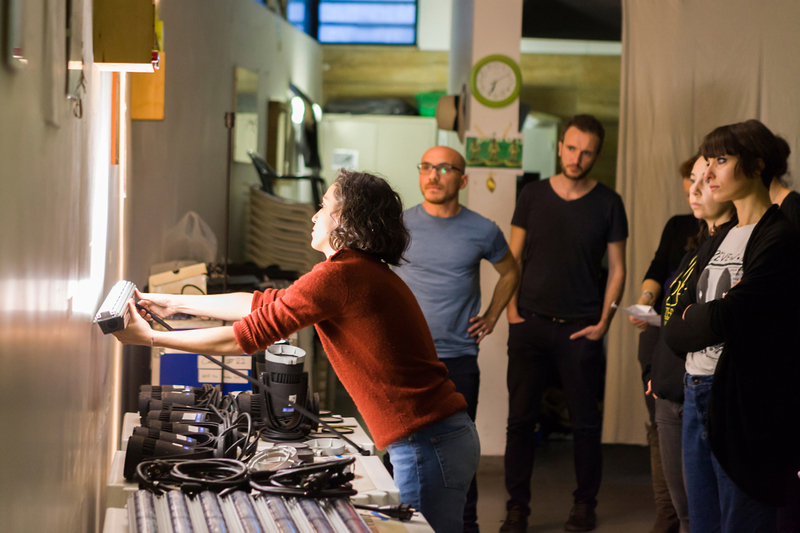 Technical support: Philips Color Kinetics with the collaboration of Arkilux. 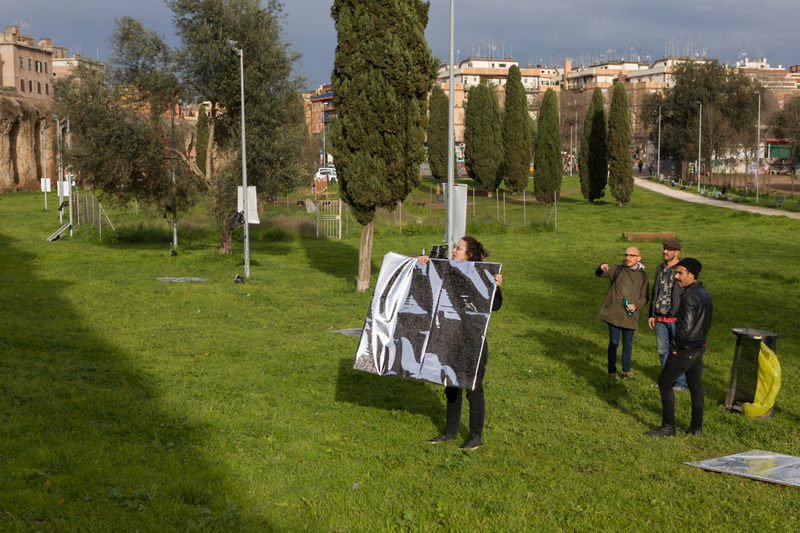 Flexible silver mirror by Rosco. 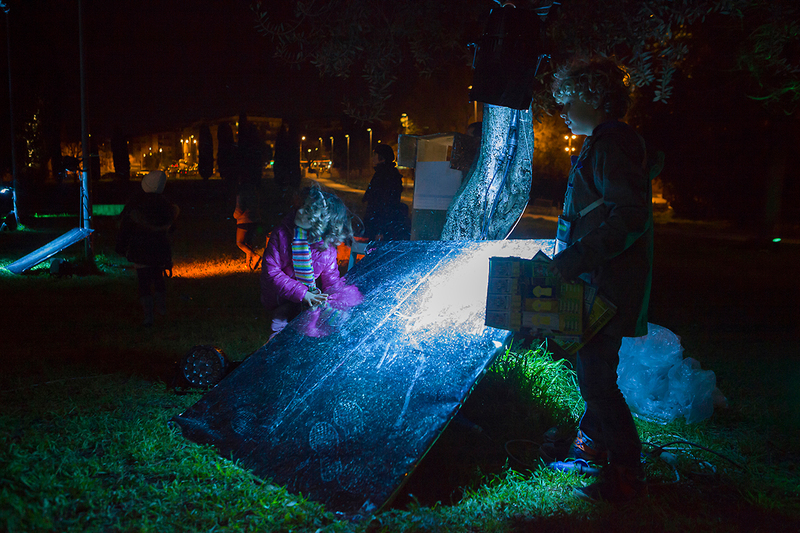 Festival organized by LuciOmbre Srl. 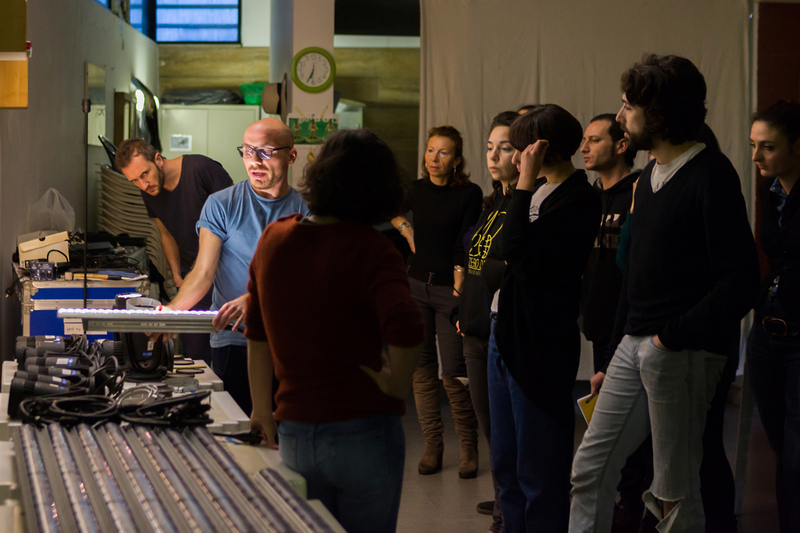 Workshop and installation organized by Lupercales. 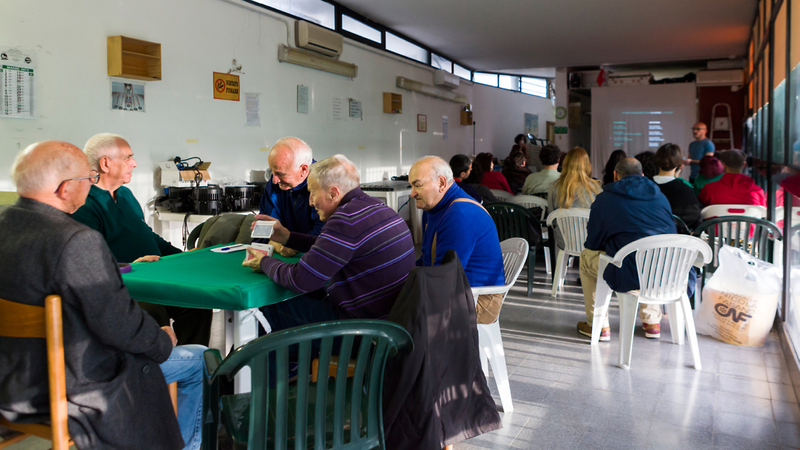 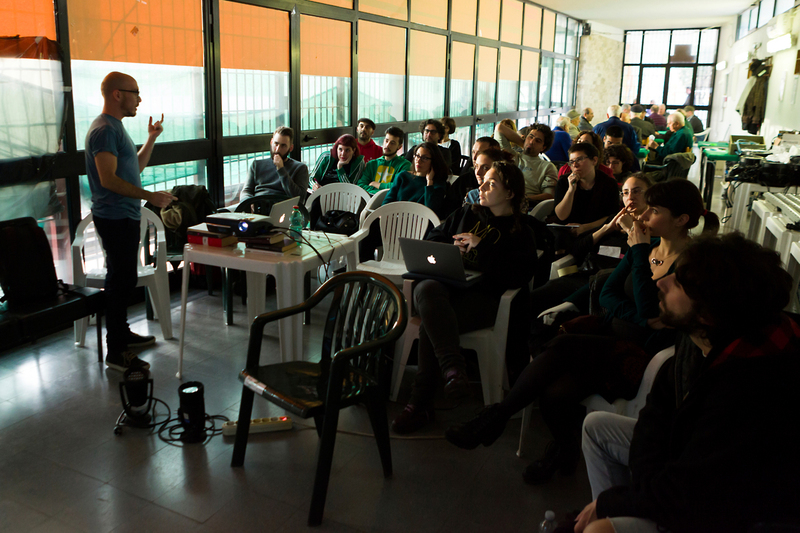 Francesco Marella, Kein Platz, Maura Crudeli, Rossella Benevento, Chiara Scoccola, Marco DeFrancesca, Giovanna Addivinola, Gelsomina Chiota, Gianni Cigna, Giorgia Curcio, Veronica Boneva, Luca Moino, Paola D’andrea, Beatrice Tomassetti, Claudio Pesoli, Claudia Petrino, Giulia Rota, Lucia Zappacosta, Paolo Ciccone, Alice Grassi, Adriana Correa, James Douch, Patrizia Lamardo, Riccardo Frezza, Lucrezia Simonelli, Livio Spada, Pasquale Pino, Antonella Lauritano, Antonella Sciarra, Alfredi Cilenti, Andrea Cervelleri. 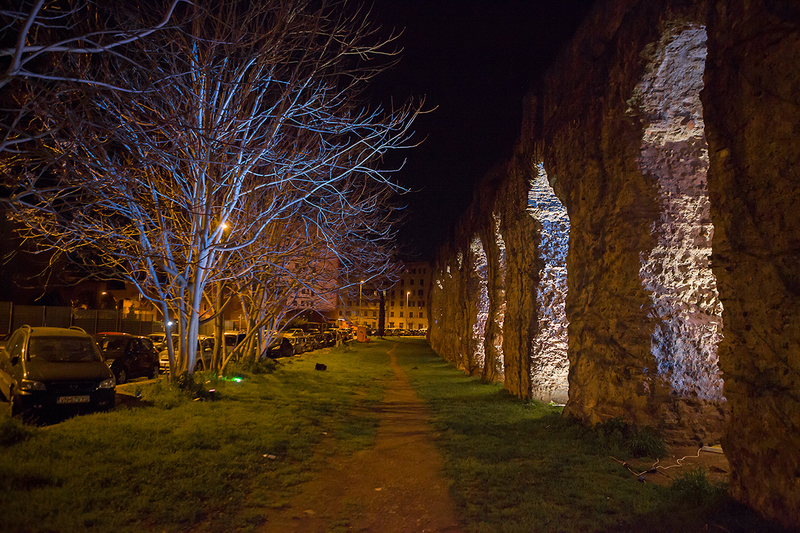 a park (the function the area got nowadays): uplights and floodlights marked the trees and benches with soft color tones. 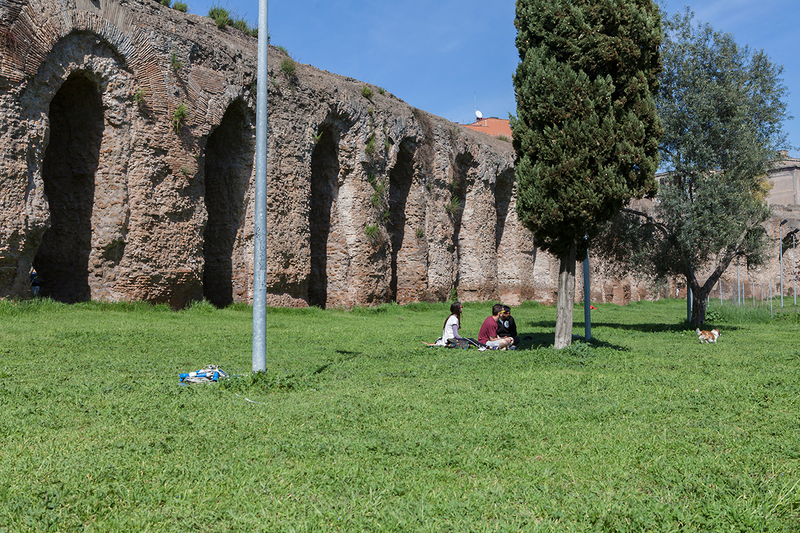 Today, the park tries to be a tool for activation, a place for social interaction inside a conflictive area. 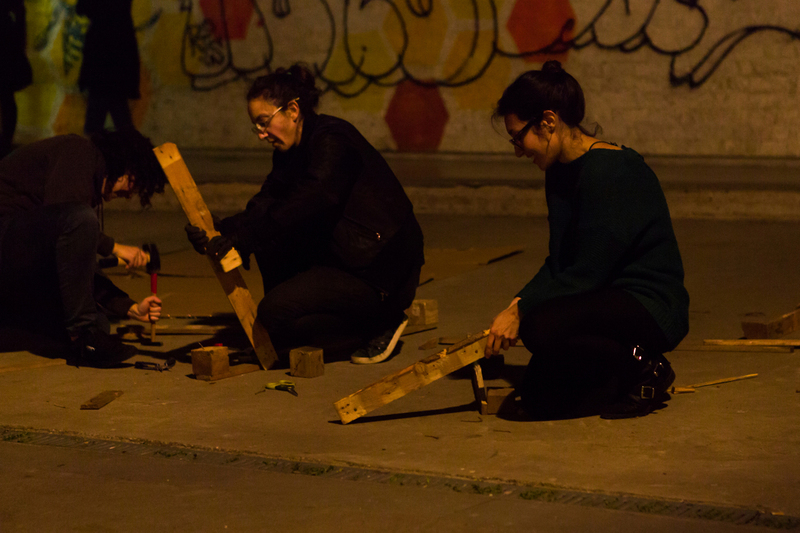 Different civic initiatives are being organized, integrating art as a social activator. 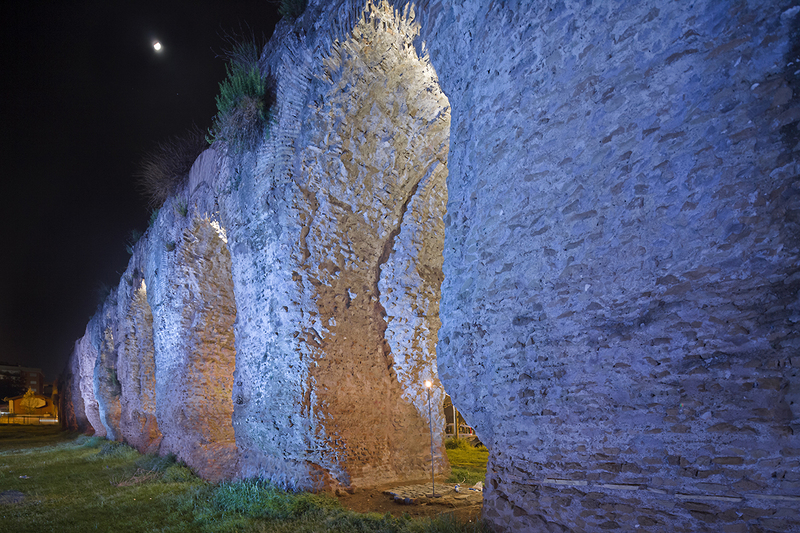 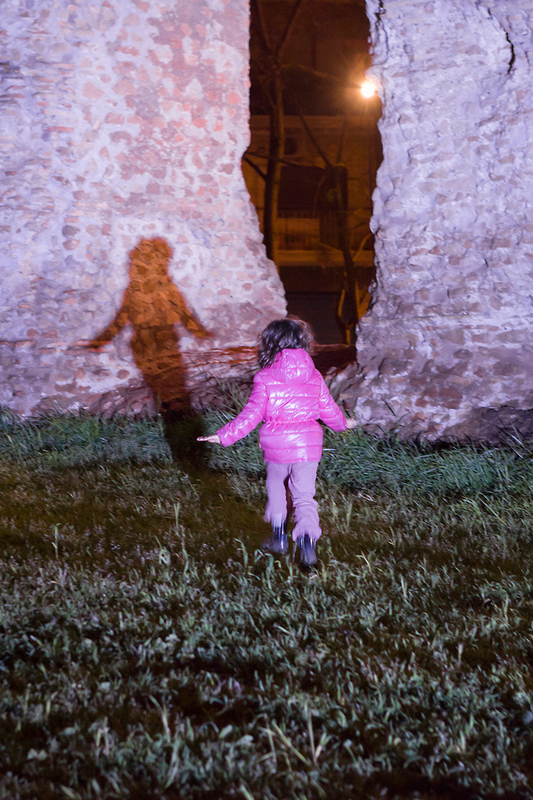 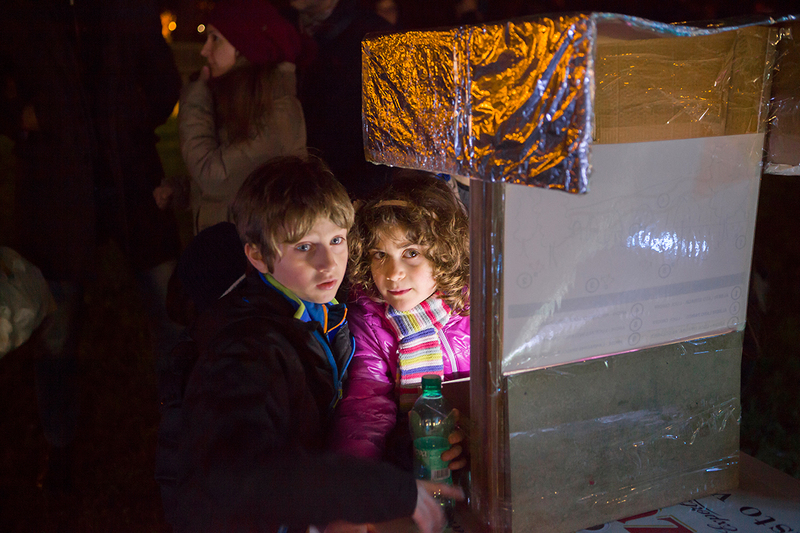 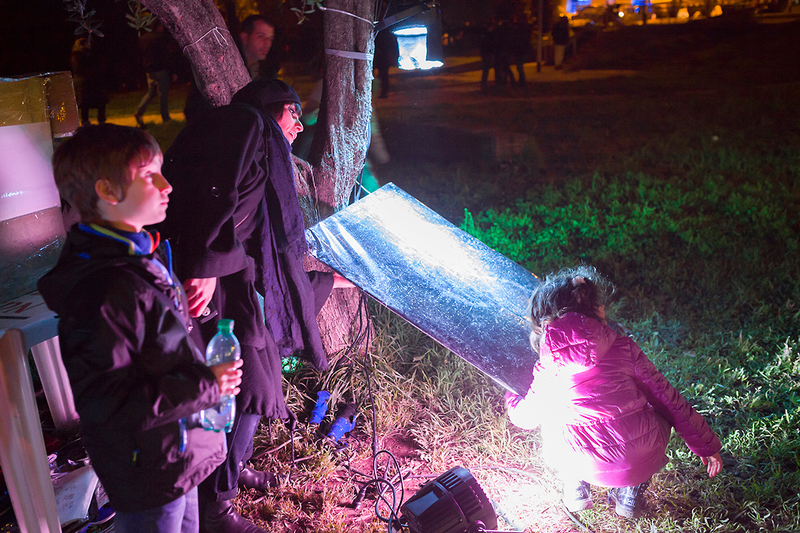 Can light help to gather people and re-generate a urban space? 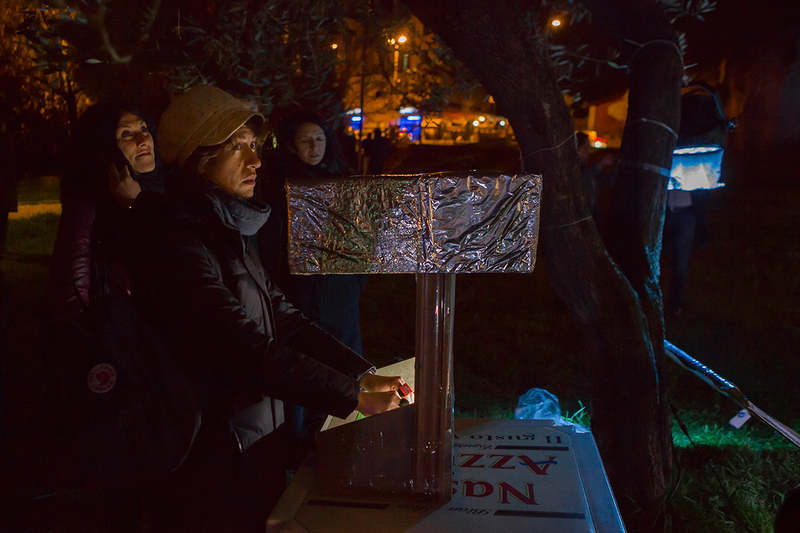 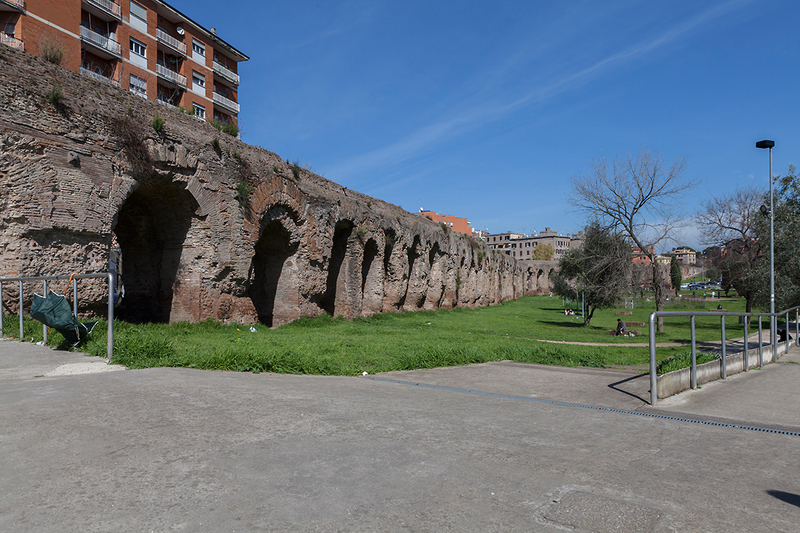 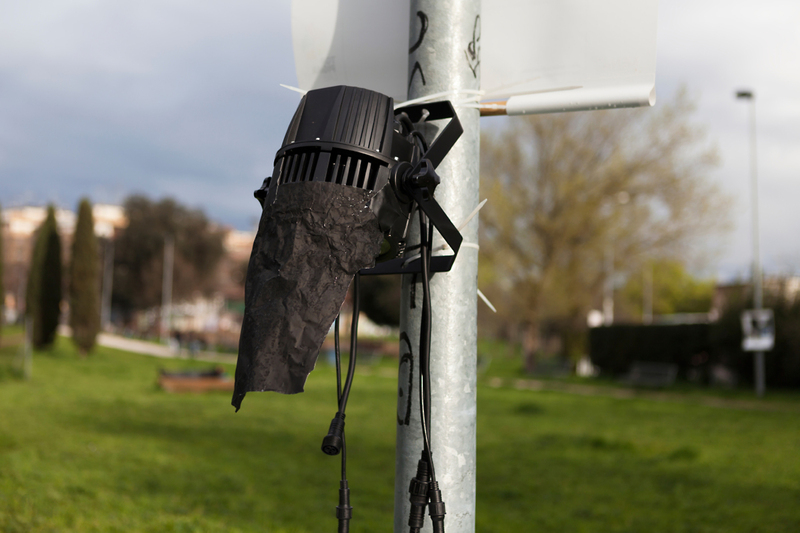 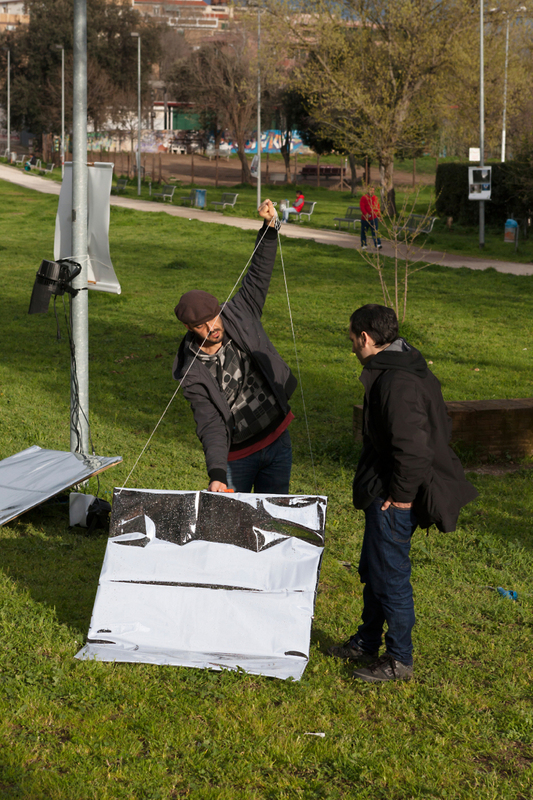 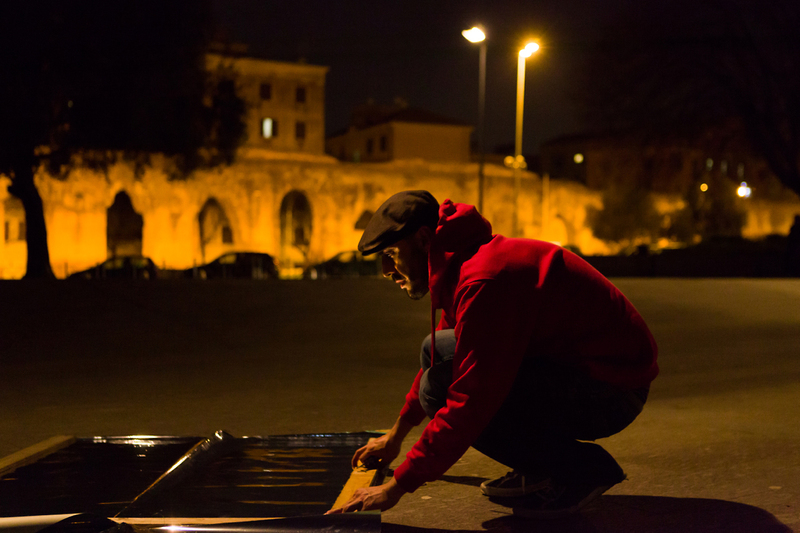 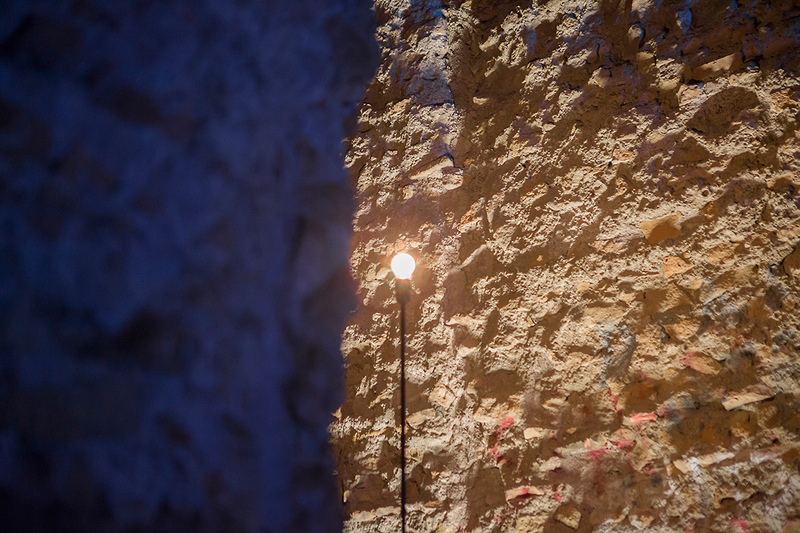 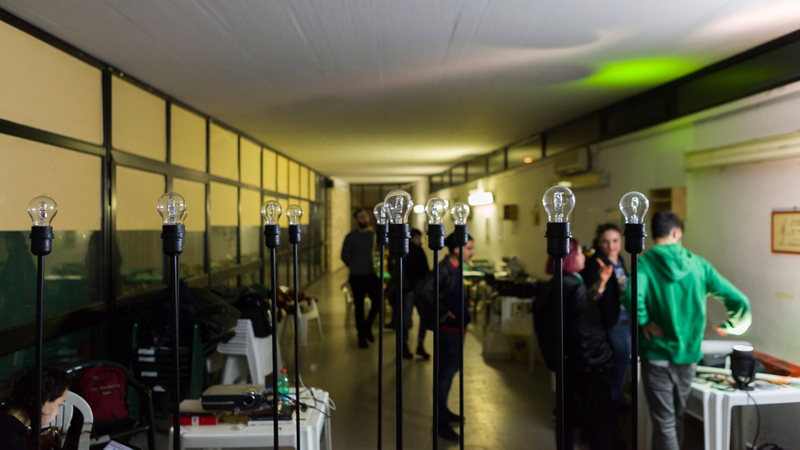 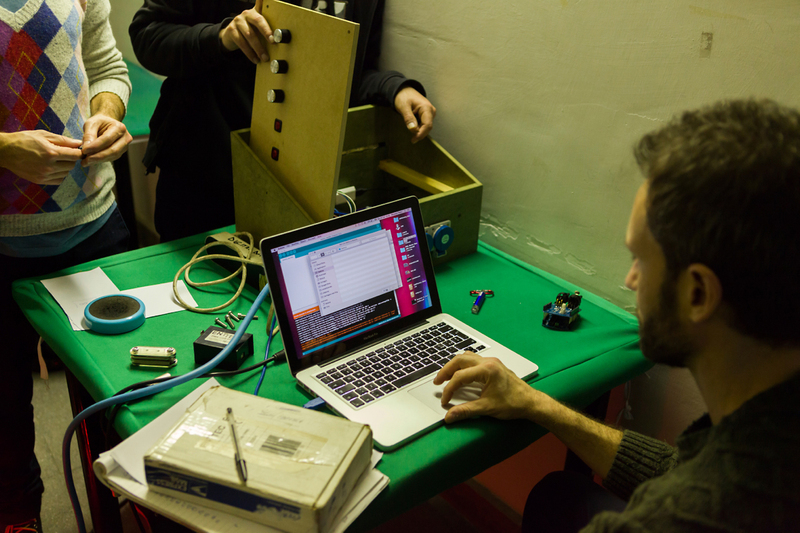 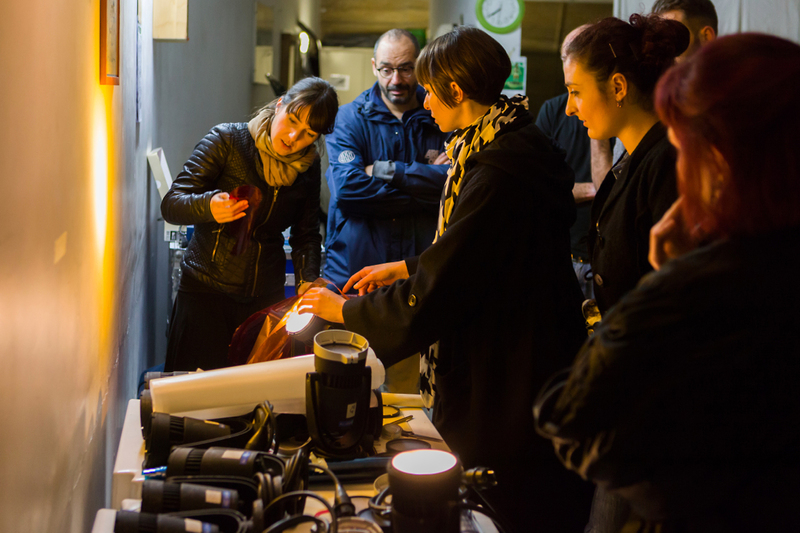 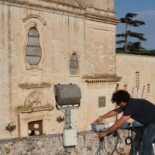 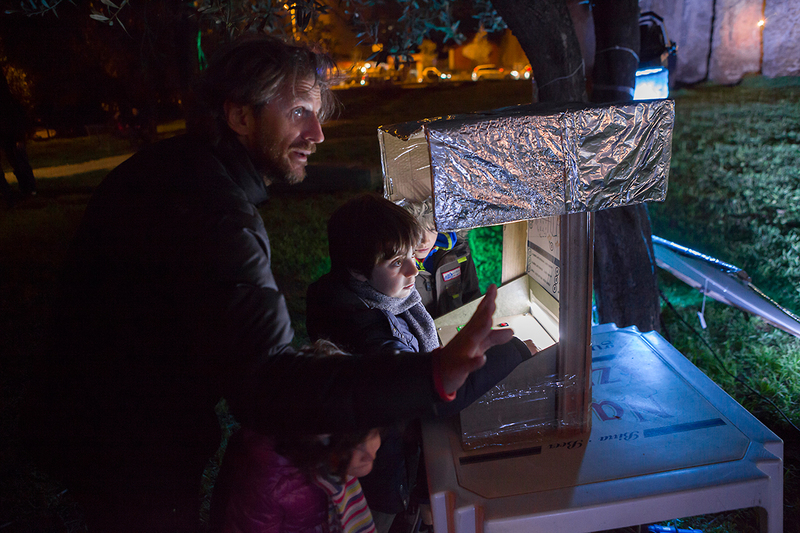 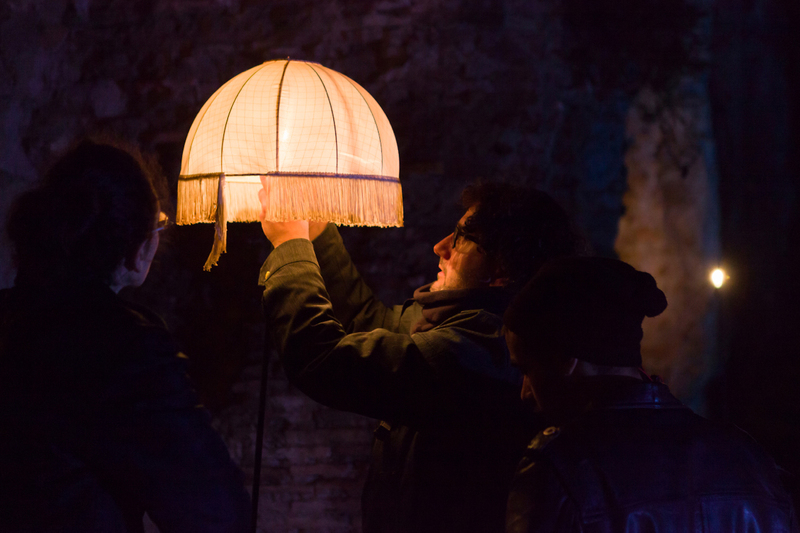 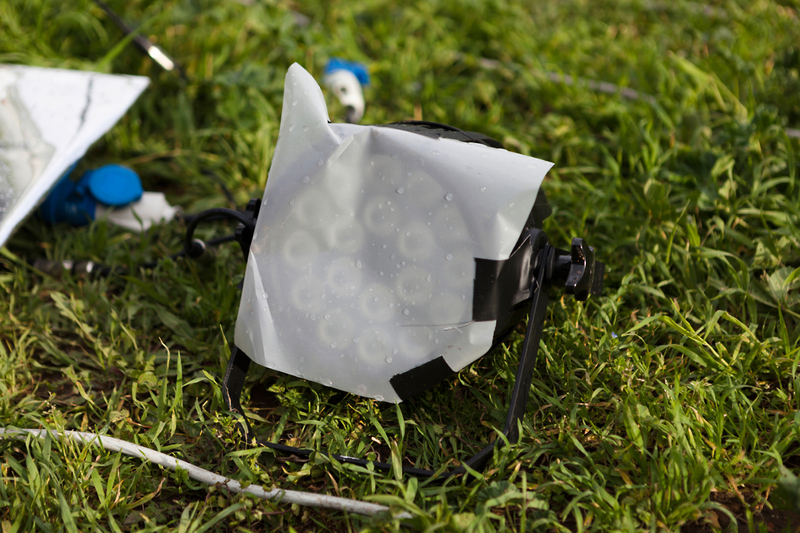 Previously to he installation, Lupercales organised a three-days workshop about lighting in urban spaces, where also people from the neighbourhood participated. 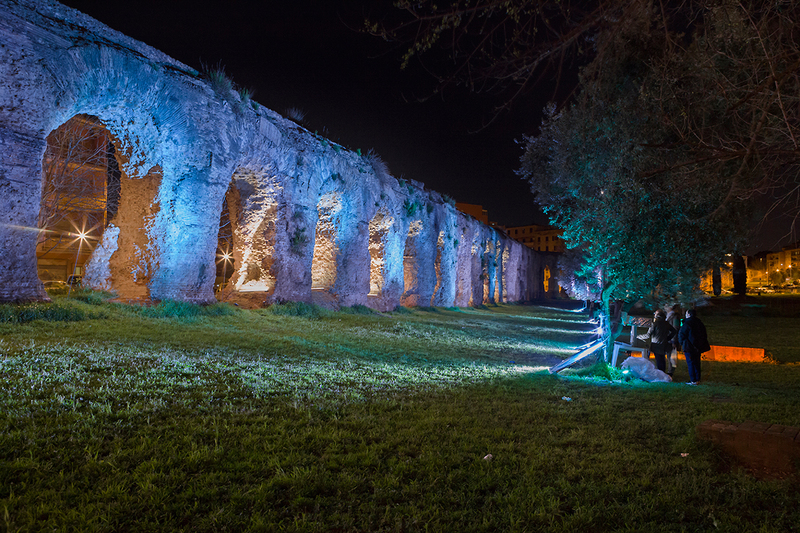 The possibility for visitors to change the lighting sceneries is a way to put their attention on their urban environment and give them the chance to decide how they want to be the place they live in. 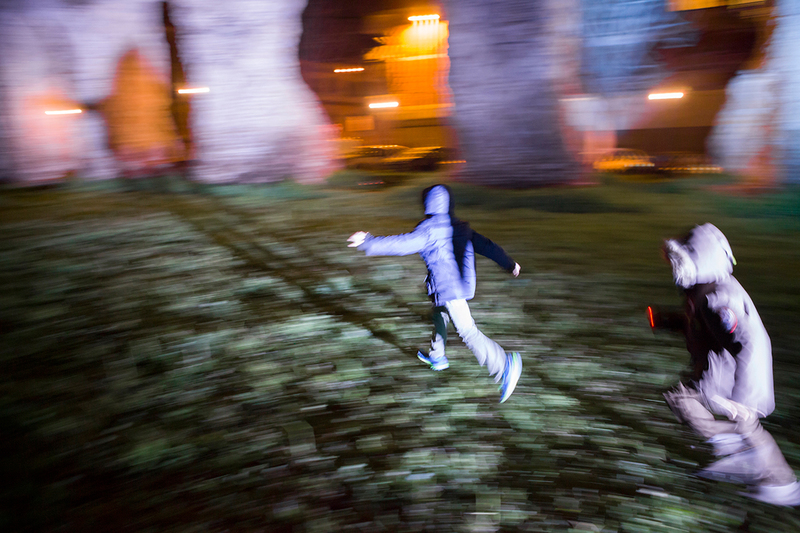 This entry was posted on April 20, 2015 by lupercalesbcn2013 in Uncategorized.